When it’s just you, it’s a lot easier to pack up your bags and head out anywhere on a moment’s notice. But as a mom now, you have to think about how enjoyable a family vacation will be to your kids (and how enjoyable to you if it’s not enjoyable to your kids)! Sixty million people tour NYC every single year, and many of them do it with families and children. 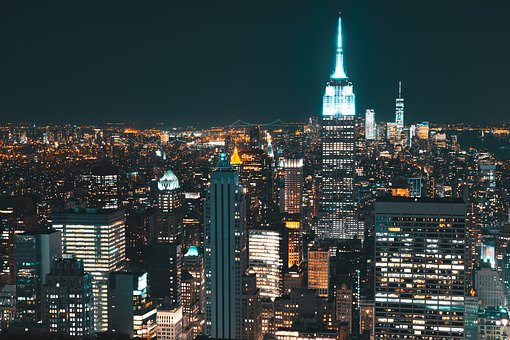 In fact, New York offers a huge array of kid-centric tour stops, and besides, seeing The Big Apple is a veritable “rite of passage” that you want your kids to have growing up and remember for many years to come. Bus tours are perfect for moms! It’s much safer (and cheaper) to tour the city from the top of a double decker tour bus than in virtually any other way. Bus tours have practically doubled in popularity in just the past 10 years, and it’s easy to see why. You get a quick overview of a large number of NYC’s most impressive and iconic sites. You can hop on and hop off at different stops and stay as long as you like (with an all day pass). You get meal stops included, with authentic New York cuisine. And you can do it all cheaply and while on a relatively tight schedule. Click the link to contact a top-tier bus tour agency in New York to learn more or to hurry up and book your tickets online for a discount! If you think kids can’t keep up a good attention span at a museum, that’s probably because you’ve never taken them to a museum designed specifically for kids. Kids visiting NYC love the American Museum of Natural History for its IMAX films, Fossil Hall with real-life dead dinosaurs, and the 94-foot-long blue whale model in the Hall of Ocean Life. They also stay entertained at the Sea Space Air Museum with its ships, jets, and shuttles, and at the Madame Tussaud Wax Museum with its wax versions of Bieber, Gaga, and other celebrities. Plus, don’t overlook the Children’s Museum of Manhattan and the one in Brooklyn, or the Lower East Side Tenement Museum where tour guides reenact the lives of immigrants from yesteryear. 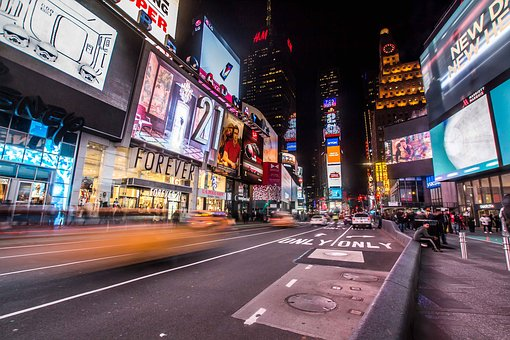 The Toys R Us in Times Square, the Lego Store, FAO Schwartz toy store, and American Girl Place are among the many places kids love to shop in New York. Giant Ferris wheels and huge playable pianos and other interactive features will let them have a great time even if you can’t afford to buy a lot. And the perfect place to stop right after a hard day’s kid shopping is Dylan’s Candy Bar, where the stools sit on peppermint sticks and the fun and variety of ice cream treats is truly unforgettable. All kids love zoos, and New York offers several that are especially appropriate for kids. A well-timed visit to the Central Park Children’s Zoo will give your kids a chance to feed the sea lions. And Bronx Children’s Zoo’s gorilla forest, butterfly house, and petting zoo are all very popular. You might even want to stay for an overnight safari at the Bronx zoo to get the full experience. Adults and kids alike will love the ferry ride out to Liberty Island to see the Statue of Liberty up close. Sign up ahead for the Junior Ranger Program to make things even more interesting. And many bus tours give you discounts on Liberty Cruise tickets, so you can save big by bundling. Barcelona is one of the best cities in the world to discover and explore but how to you get the most out of your short stay in the city, and see the best things which interest you in Barcelona. A Barcelona Highlights tour by the hand of a professional guide will show you the very best of the city and will give you a background which only a local can give you. Many visitors rely on handbooks and websites but local knowledge gives you a much deeper insight into the rich history and culture that Barcelona has to offer. There are many things which you won’t find in textbooks within the oral history of the city. For a visitor to a city, a tour is one of the best ways to get your bearings for the city and learn more about what you would like to explore more. A tour guide will be able to give you a tailored experience, that no guidebook or website printout could ever give you. Having a local show you around the city is your way to experience Barcelona like a local, you will see things from a perspective you otherwise would have missed. Camp Noup is the home of football but it’s not something which would immediately interest a non-football fan, one of the great benefits of having a guide is that they bring history to life and make the surroundings amazingly interesting. A tour anywhere in the city will be lively and enjoyable, you will be immersed in the rich history Barcelona has to offer, and it has a lot of history to offer. A tour guide will whisk you around the greatest sites within the city and one of the biggest advantages is that you often are able to skip the queues for the biggest attractions. When you go to Barcelona, book a tour to experience the hidden side of Barcelona. While there are world class attractions, only a tour-guide can show you the hidden side to the city which is only seen by the locals. Discover shops and winding streets which are normally only used by locals and get bargains in hidden markets. Only a tour guide can show you this side of Barcelona which a website can help you find. A tour guide is a resource which you really need to take advantage of when you visit Barcelona to get the most out of your visit to the city. Kids are very visual creatures who love learning about things they can see. You could tell your kids about a historical place or explain another culture to them, but it’s a lot more fun if they can take a look for themselves. If you think we’re going to start this list with Orlando, think again. Disney theme parks are delightful, but there are certainly more historical cities to see with your kids. New Orleans, for example. Here you can start your day with fresh beignet fritters washed down with hot chocolate or cafe au lait, then spend the morning exploring above-ground graveyards. Take a two-hour paddlewheel boat trip on the mighty Mississippi and be back in The Big Easy in time for a delicious dinner of gumbo and crawfish etouffee, advise travel pros at Travelocity. For a hands-on historical experience, few American cities compare to Washington D.C. Older kids will willingly tour must-see educational sites like the Lincoln Memorial, Capitol Building, and White House if you tell them they can visit the International Spy Museum afterward. Located fewer than three miles from The Mayflower Hotel By Marriott, the Spy Museum is the place to explore the thrilling history of espionage and learn a lot about James Bond, too. Interactive spy games are available to kids 12 and older. Save money and stay close to the spy museum with this marriot discount code. Be sure to save part of your D.C. day to visit the Tidal Basin with the kids. Rent a couple of foot-powered paddle boats, and race across the shallow basin to the Jefferson Memorial, suggest family travel gurus at Escape Here magazine. Kids of all ages find plenty to learn about while having fun in San Diego. Sitting in the southwest just a few miles north of the U.S. – Mexico border, San Diego boasts beautiful beaches, inspiring scenery, and near perfect weather year ‘round. Plan to spend at least two days exploring Balboa Park. Home to the world-renowned San Diego Zoo, the 1,200-acre urban cultural center comprises art galleries, playgrounds, an old-fashioned carousel, a miniature train ride, and museums galore. Drop into the Natural History Museum to interact with animated dinosaurs, and don’t forget to catch a thrilling IMAX movie at the Reuben H. Fleet Science Center. For the best San Diego vacation value, buy an Explorer Multi-Day pass to gain access to park attractions for a week, recommends Parents magazine. Big theme parks are wonderfully entertaining, but that’s not all there is to do in Orlando. Make a morning jaunt to the John F. Kennedy Space Center to learn about the history of space exploration, then spend the afternoon marveling at movies at Universal Studios. Rev your kids engines for education as you plan your family vacation. Visit tourism websites, and invite your youngsters to help plan an itinerary that includes visits to places they want to learn about. So you’re finally going on vacation! You’ve got your tickets booked, your accommodations all squared away and you’ve arranged for a friend to come water your plants at least once while you’re gone. Now it’s time to get realistic about what beauty products you’re going to need, and, while you may have most of the things you’ll require, it’s never too late to stock up. Traveling can pose some unique problems when it comes to beauty: you’re often out and about for most of the day; you’re often outside in the heat and sun; you’re often bagged by the time you get back to your hotel, in no mood to do a comprehensive nightly routine; and, come morning, you’re stuck with the subpar hotel shampoo and conditioner. But don’t fret – following some simple guidelines, you can pack for your late summer vacation to avoid those irksome issues. The first problem outlined above is that you’re very often out and about, and because of this you need to ensure that your makeup lasts. Primer and Setting sprays are the shield you need to keep your makeup looking as good at 10pm as it did at 10am, and there’s really no better sprays for value than the ones made by Skindinavia. There are certainly a number of sprays on the market, but the benefits of Skindinavia sprays are that they keep the color of your makeup vibrant and they are super lightweight, meaning you won’t feel like you’re wearing primer and finishing spray all day. The next issue mentioned was that you’re out in the heat and sun all day (barring those days you decide to be cultured and spend the day in a museum). For this – it should come as no surprise – you need sunscreen. But why bring just your average drugstore sunscreen when you could bring one that does a double duty – why not try a moisturizing sunscreen?The Ultra Repair Pure Mineral Sunscreen Moisturizer by First Aid Beauty is a two-in-one product that also has a very light feel, meaning you can skip packing two bulky bottles of sunscreen and moisturizer and just pack one sleek bottle that excels at both jobs. When the day is done and you’re back at the hotel, you don’t want to fuss over your nightly routine, so it’s best to pack a product that will remove your makeup and hydrate your skin. The Makeup Removing Cleansing Oil from Caudalie is a bona fide multi-tasking machine, removing the most stubborn eye makeups while cleansing and refreshing your skin, getting you to bed sooner so you can get your full eight hours. And then you wake up and saunter over to the shower. Don’t trust those free bottles of hotel shampoo and conditioner, as they’re very often full of chemicals and other cheap materials that can damage your hair. It’s better, before you leave, to fill a small travel bottle with your favourite shampoo, and bring along a dry shampoo just in case (sometimes you don’t have time for a shower – it happens!). Now that you’ve got all your beauty products out of the way, all you have left to do is dream about what you’re going to eat and drink – can a person survive on wine and ice cream for two weeks? Bon voyage! When it comes to a ski vacation, your main focus should be on riding the slopes, wearing the right gear to stay warm and socializing with your family/friends. However, another important facet about any vacation is the accommodation you decide to go with. If you don’t choose well, the accommodation could end up spoiling your entire trip. As far as choosing a place to stay, it is decided by numerous aspects – most notably budget, availability and services provided. The following choices will have all of those covered in various ways, and it is up to you to decide which accommodation is right for your ski vacation. If you want to go all-out and select an accommodation that covers everything for you, then a luxury hotel might be your best bet. Large and contemporary rooms, on-demand service, on-site dining, recreational amenities – these are the types of features you will usually find with a luxury hotel. Keep in mind that various hotels will also be affiliated with the resort that you visit, which could provide additional perks. While this might sound perfect right now, going with this option does sadly have its drawbacks. Not only will the price be much higher than other accommodation choices available, but the atmosphere is not one for socializing with other guests. Typically, you keep to yourself and the family/friends you traveled with. Also note that you will often find standard hotels and chalets nearby to any resorts, although they will come with fewer benefits on the whole (while possibly retaining a high price). So you want to receive friendly and helpful service, but also want to avoid the somewhat impersonal nature of staying at a hotel? Well going with a B&B would be a suitable option. Assuming you have a friendly and welcoming host/s, the B&B will have a warm atmosphere that is ideal after a day of rolling around in the snow. Regarding disadvantages, a B&B will generally be restricted in terms of features – both in-room and publicly. Plus just like the aforementioned hotel, they are not the best for a party-like atmosphere. It might not come with direct service at times, but the self-catering option is becoming more and more popular with travelers of all kinds. It is perfect for families as it not only delivers plenty of space to move around, but it also gives you those home perks – including a well-appointed kitchen and living area. If you were staying in Snowmass, Colorado, for instance, Snowmass Vacations offers a large selection of homes and condos to suit all needs. If you’ve spent all your money on skiing gear, you will be searching for the cheapest accommodation available. That would be a hostel, which delivers a cheap bed for the night while also often combining a friendly and energetic atmosphere that’s great for meeting other travelers. The negatives are the lack of privacy and the possibility of comfort levels being hampered. Regarding comfort, that doesn’t mean just the noise of others – it could also mean the general maintenance of the hostel. For example, the last thing you want is a malfunctioning heater when snowfall surrounds the property!